Veteran Power Metallers KALEDON from Italy, will release their new studio album "Altor: The King's Blacksmith" through Scarlet Records on April 23rd. It is the first following the celebrated saga "Legend Of The Forgotten Reign", which was introduced in the song "Steel Maker" from "Mightiest Hits", the best album in 2012 to the band. 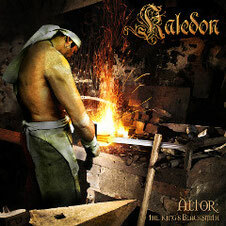 "Altor: The King’s Blacksmith" narrates the life of the man who forged the sword that killed Mozul, the evil creature that upset the peace and tranquillity of the Kingdom in the last chapter of the saga. 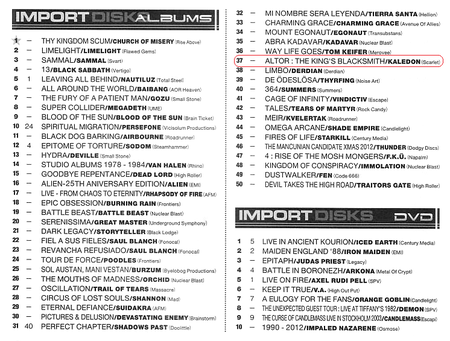 KALEDON released "Chapter" series 1 to 6 in 2002-2010 and "Mightiest Hits" in 2012. 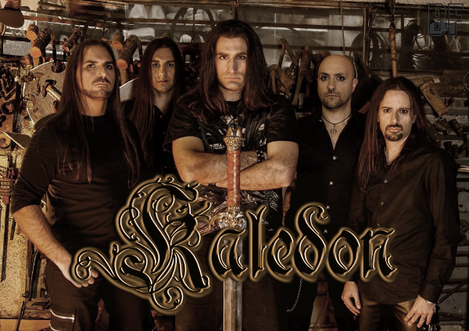 This is their seventh album and KALEDON delivers another Power metal masterpiece, with plenty of Classic Metal influences and majestic Symphonic parts, on the album. 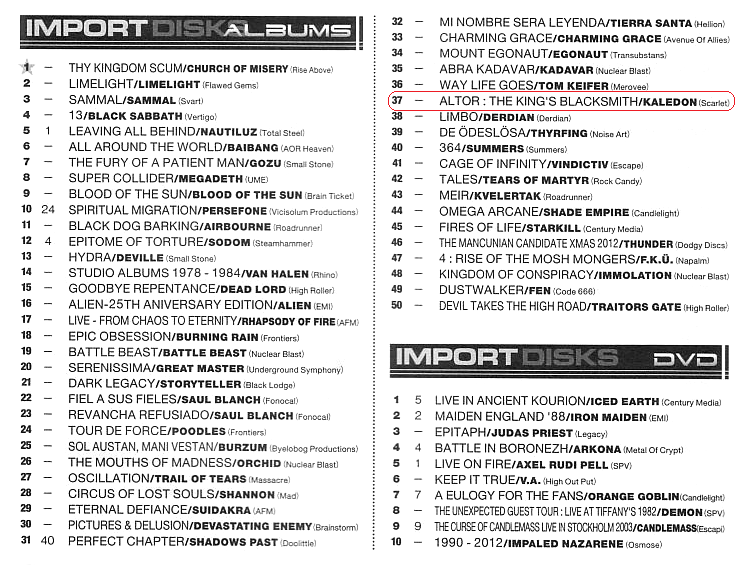 It features a renowned singer Fabio Lione (Rhapsody Of Fire, Kamelot, Labyrinth, Vision Divine) on the song "A Dark Prison" as a special guest. Some making videos for the tracks on the album can be seen on their YouTube channel.